The bestselling 30-Second series takes a revolutionary approach to learning about those subjects you feel you should really understand. Each title selects a popular topic and dissects it into the 50 most significant ideas at its heart. 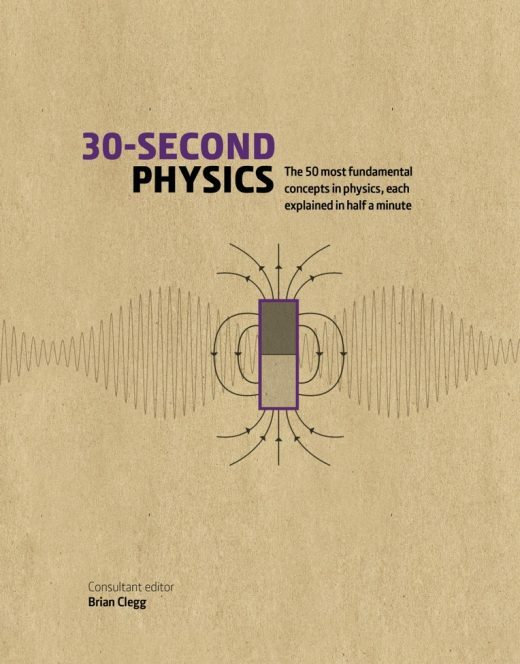 30-Second Physics tackles the big ideas behind life as we know it, from electromagnetic waves that enable us to connect in an instant from opposite ends of the earth to the gravity that keeps our feet firmly on the ground. In a world where physics is an everyday essential and new quantum developments make headline news, you need to know your atoms from your anti-matter, and learn just enough to speak with fluidity about Fluid Dynamics and be certain about the Uncertainty Principle. Here is the fastest way to get up to speed with rocket science and the rest.